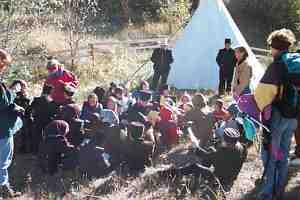 Gathering the local children together, the elders pass on the accumulated wisdom of society. How to pluck geese, make wine out of rhubarb, smoke a herring (hint: do not light the tail). Where is the best buy on bulk quantities of toilet paper? How to sell rutabaga pies and still be able to show your face at next week's farmer's market. Difficult lessons, but the children are eager to learn.